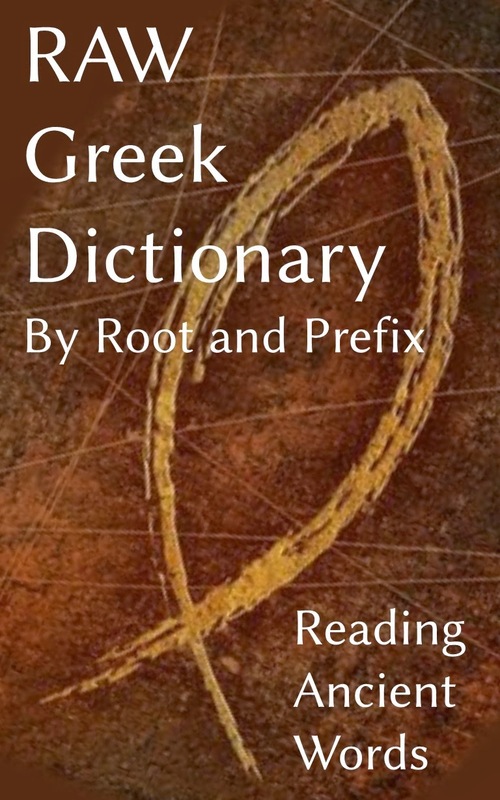 My Greek Bible study was incomplete--until I compiled this dictionary. I knew that two different Greek words are translated "love": philia and agape. I knew how to search for each one. What I didn't consider was that each root had different forms: noun, verb, adjective. Then there were prefixes that enhanced and often changed the root. And then the root might be added to another root. Do you hear philia in philosophy, philanthropist, and Philadelphia? I had to broaden my search. This meant poking around through the digital dictionary to find all the forms. That got old, fast. Look up a word in a normal dictionary, such as Strong's or Thayer's, and you'll get that one word. G4680 σοφός sophos (sof-os') adj. With one glance, you see all the uses of the root sophia. Root with prefix a meaning "not" and kata meaning "according to"
Root with another root, philo "friend"
Now you can do a complete search for all seven words that have the root word "wisdom". philia is used in 39 words, usually with another root!